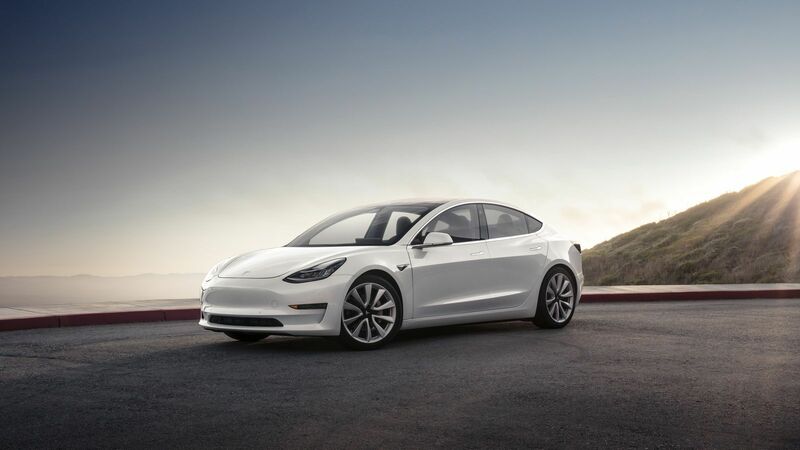 The Tesla Model 3 is often billed as a revolutionary vehicle that will bring electric motoring to the masses but it’s just lost a coveted recommended rating by Consumer Reports. In a post, the organization says there’s a lot of like about the Model 3 but the car has some “big flaws” that kept it from earning a recommended rating. One of the biggest problems discovered by the group was an extremely long braking distance. As Consumer Reports explains, the Model 3 required 152 feet (46.3 meters) to stop from 60 mph (96 km/h). The publication says this is “far worse than any contemporary car we’ve tested” and about 7 feet (2.1 meters) longer than the Ford F-150. Tesla, unsurprisingly, disputed this and claimed their tests have shown the car only needs 133 feet (40.5 meters) to stop from 60 mph (96 km/h). A Tesla spokesperson added stopping distances depend on a variety of factors including weather conditions, the temperature and the road surface – among other things. 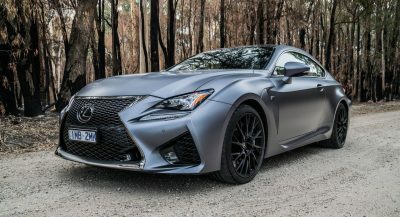 Consumer Reports is sticking to their finding as they explained the “test is based on an industry-standard procedure designed by SAE International” and the test was conducted multiple times with a cool down period in between runs. However, the group noted their first test resulted in a distance of around 130 feet (39.6 meters) but they weren’t able to replicate that distance even after allowing the brakes to cool overnight. CR managed to obtain a second Model 3 to verify their findings and the organization says the results with that car were “almost identical” to the first. Besides the long braking distances, the Model 3 was criticized for placing virtually all controls and displays within the vehicle’s 15-inch touchscreen. Consumer Reports also wasn’t a fan of the car’s stiff ride, unsupportive rear seats and excessive wind noise. The news wasn’t all bad as the organization was impressed by the car’s handling and performance. 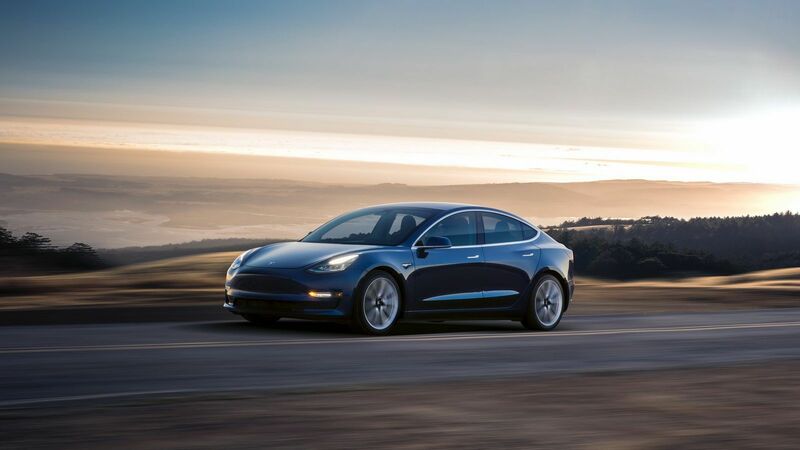 The Model 3 also posted the longest range of any electric vehicle tested by Consumer Reports as it was able to travel 350 miles (563 km) on a single charge. Ok, so you have good things and you have bad things. It’s not a death sentence for the car it just means Consumer Reports doesn’t recommend it. I’m sure people who are cross shopping a Tesla Model 3 isn’t going to take advice from CR. One thing I do agree on is the controls being placed in that giant touchscreen. That can’t be convenient or comfortable on long journeys especially if you want to do something like turn up the radio or activate the air condition. Ok, that’s my semi-neutral Tesla comment quota for the day. The areas of concern speak to quality and reliability. Make all the excuses you wish, it takes years to make a quality vehicle…if at all. Musk’s biggest problem is his over-promising and under-delivering. Did you read the spoiler tag? I don’t think that many C-Class/A4/3-Series will actually convert over to the Model 3. Nowhere good as the established marques in any regard. The only people who will buy this, I think, will be those who are just looking for an electric appliance that looks decent (even though everything else in the segment looks better than it). Funny how BMW admitted they’re already losing sales to the Model 3. You couldn’t be more out of touch. Half a million reservations for a 3 and you think the icers aren’t converting. Hrmm I wonder where else they’re coming from. Not to mention it’s faster than all of them. People who are buying entry-level luxury sedans are looking for luxury. The Model 3 does not satisfy that well enough. Please don’t reference reservation count as evidence of anything. Tesla claimed that the Model 3 would cost $30k, which created hype for the product, which explains why people sent in so many reservations. Then, Tesla was able to raise even more capital from investors by showing their reservations count. 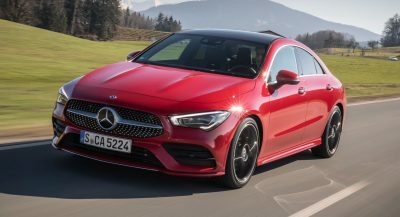 Now, to have a Model 3 that’s actually comparable to the C-Class/A4/3-Series, you have to shell out $60k. No thanks. I’ll wait for the established marques to electrify their lineup. Lack of information. The 50kWh costs $35k, as promised, the 75kWh is basically the performance version that does 4.6s to 60. Still the price is only $44k, the price you quote is full of extras, try to spec the Germans to the same level. @[email protected]:disqus Off topic, but when was Volvo ever considered a leader in the automotive industry for technology? i know they had their run when it came to safety equipment on a vehicle, but thats just about it. Tech wise, Volvo falls in a different bracket than the big three. Volvo has the most advanced safety tech of all manufacturers. Safety is luxury, I never understood why people look down on Volvo when I think the most important factor in a car is to keep your family safe. Also the current Volvos have the most responsive screens, only second best to Tesla. Feel free to try them all. Volvo is more innovative than people think. Yeah i totally see way more Model 3’s than BMW’s on the roads. A CR recommendation doesn’t impact my vehicle purchase in the least. Heck, if I”d listened to any of the automotive press, I wouldn’t own the car I do. SHOULD BE EASY ENOUGH FOR TESLA TO BEEF UP THE BRAKES. THE SCREEN IS HERE TO STAY FOR BETTER OR WORSE. Typical sales approach. Talk about the high-end trim, showcase the price of the lowest/nobody will purchase trime. Let the Tesla fan boy’s excuses begin. Let the Tesla haters make predictions about fan boys. So, Consumer Reports test thousands of vehicles for decades using the same testing standards…and Tesla doesn’t believe their results..? Talk about publicly digging their own grave. If they falsified any testing results they could be sued easily. What makes Tesla so special and different? Get someone besides Musk to run that company and I’m sure they’ll do fine, but with him literally calling all the shots dictatorship style with no one to answer to, he’s going to end up on everyones $#!t list. Wow that’s horrible braking. Even Tesla’s numbers are bad. The Model 3 is a huge missed opportunity. The design is clunky and awkward and the interior looks like it was rushed to market. Hard pass on this vehicle.